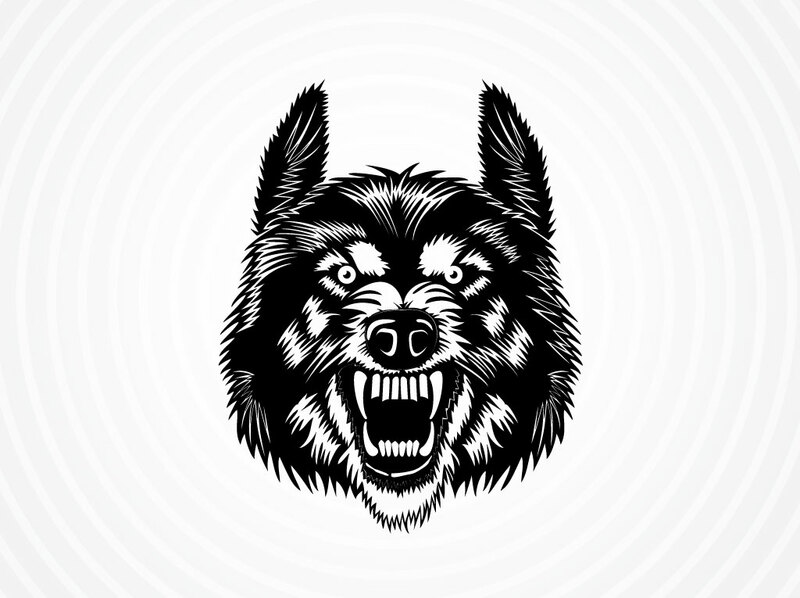 Vector wolf head in black set on a light gray radiating circle background. The wolf graphic is fierce and angry, perfect for a sports team mascot. The free animal download could also work well as a tattoo design, screen-printed t-shirt, nature themed collage or heraldic style crest. Tags: Angry, Animal, Dangerous, Logo, Mascot, Tattoo, Teeth, Wild, Wolf Head.